The first of a distinctive new generation combining the very latest in innovation and technology, the new 28 Metre Yacht has made its world debut at the 2012 Tullett Prebon London Boat Show. This new design launches the next generation of the ‘Sunseeker’ Yacht look. The element most captivating is the remarkable extent of main deck glazing. Unusually full height and pillarless, the glazing flows continuously down the sides and around the rear of the saloon, merging with the aft patio doors. This new wrap around glazing gives the main deck accommodation a unique uninterrupted floor to ceiling panoramic view and an extraordinarily bright interior, bringing the outside in. Just as this increases usability of the saloon throughout the day, particularly with the option of side doors and bulwark balcony, other external social areas on the foredeck and flybridge have been innovated with new sunpad and group seating formats. The expansive foredeck has given rise to a completely new seating and sunpad layout with a centre companionway providing increased social areas. The large carbon fibre hard topped flybridge deck offers unrivalled room for enjoyment with a comparable increase in available space resulting in an area that can be tailored to suit every client’s needs. From spa tubs to extended sunpads, this area will have endless entertaining layouts to enjoy true al fresco dining. Every 28 Metre Yacht will be unique and tailored to specific customer requirements offering a breakthrough in interior layout and design with interior furnishings selected from the 2012 Sunseeker Collection of materials and linings, ensuring that the striking exterior design continues throughout the interior. Two individual stairways lead down to four equally well appointed and spacious suites, including up to two VIP double staterooms and a full-beam master stateroom. 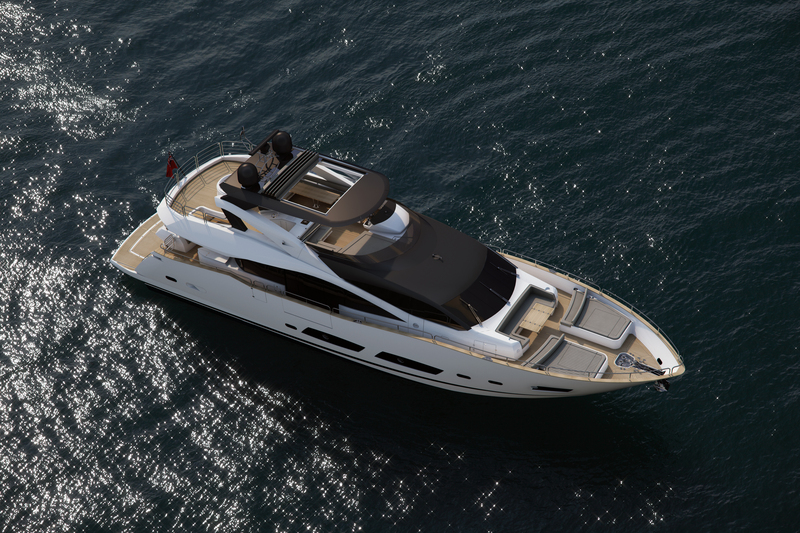 Each and every cabin incorporates the large window sets now synonymous with Sunseeker design. Throughout, headroom and hull-side storage has been maximised demonstrating that modern design and practicality can go hand-in-hand. 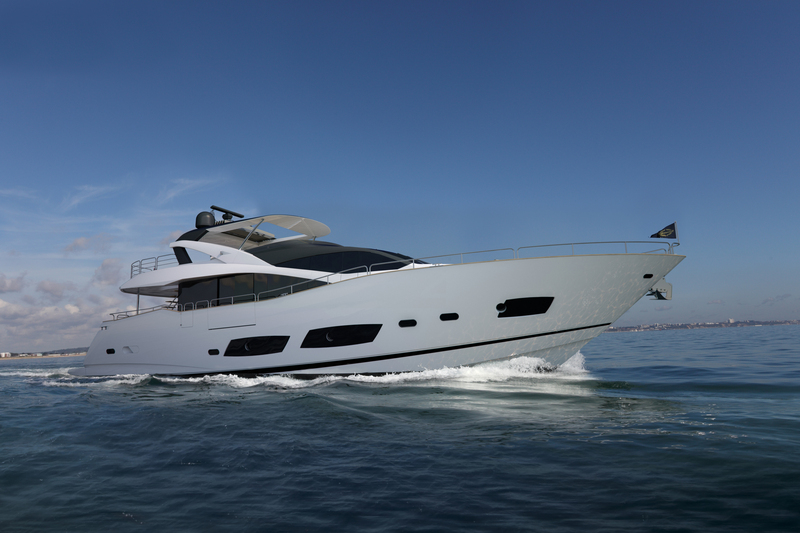 The completely new hull provides increased space whilst still capable of producing excellent performance speeds from a choice of engines, the final delight in a truly remarkable new craft and the reason why we have named the Sunseeker 28 metre as our January 2012 boat of the month. 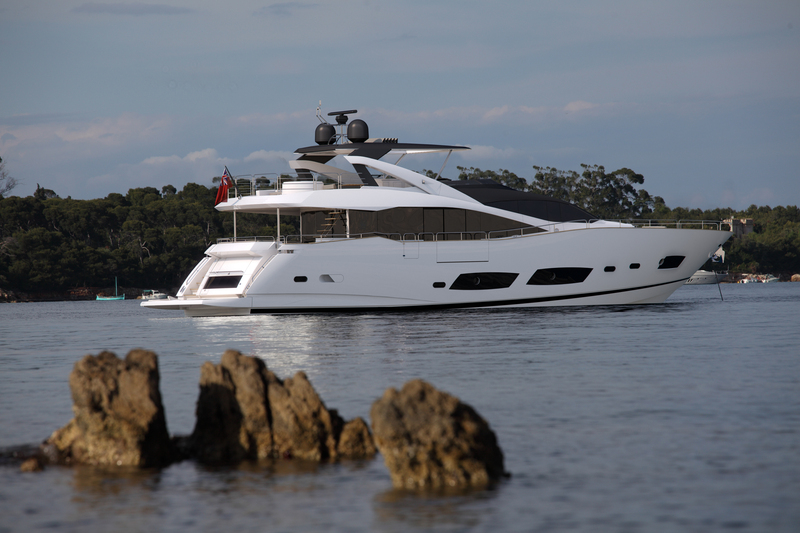 Is the Galeon 500 Fly the ultimate party boat?